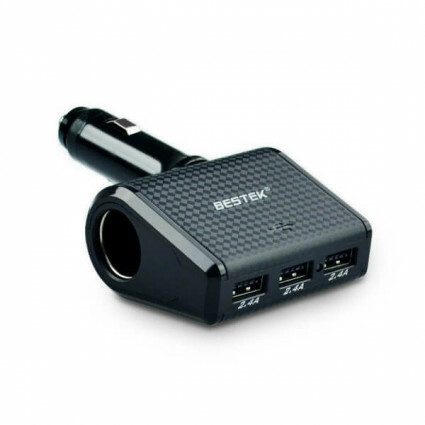 BESTEK 3-USB car charger allows you to charge 3 USB devices simultaneously with total 7.2A at full speed. The USB ports are reversible so that you can charge your devices in either direction. The extra one 12V/24V cigarette lighter socket provides enough power for your car appliances. 3 auto identified smart USB ports allow you to charge three devices at the same time at the optimal speed with up to 2.4A each port, 7.2A overall. the three USB ports are reversible, allowing you to charge your devices conveniently in any direction.